Leading a company and leading people are a big challenge when working in a foreign country. Managers have to master cultural differences, need to learn about cultural patterns and leadership styles which are different from the once applied in their home-country. Being aware of those cultural differences and patterns makes your expat assignment more effective and your leadership more efficient. The training will give you the right tools to master cultural obstacles in order to achieve your goals in Indonesia. 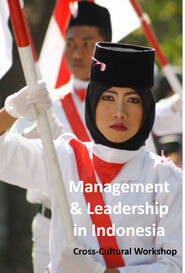 During the training you will have the chance to develop your Indonesia Leadership toolkit under guidance of the trainer. Our trainers are experienced managers & intercultural experts having a broad practical experience on leadership and management in Indonesia. Send us a message if you are interested in this training and we will inform you once the new dates are available.